The Firm started out as a financial, securities and M&A legal boutique. 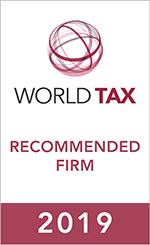 Today our Firm is a full service law firm, consisting of approximately 120 professionals (including 15 partners, as well as accountants in our tax practice). Most of our corporate lawyers have Master degrees from prestigious universities in Mexico, Europe and the United States in addition to work experience at leading international law firms, public administration, industrial & service corporations, and the financial sector. As a result of our constant involvement in international businesses and transactions, we have developed important work relations with numerous law firms in Asia, Europe, Latin America and the U.S., which enables us to efficiently assist our clients wherever they do business.